Annie's Gardening Corner: Are You Digging the Dirt? 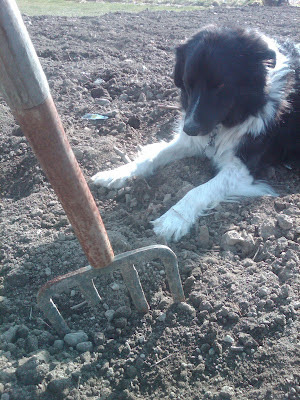 The soil is perfect right now to be turned and worked for your vegetable gardens. With little to no moisture, you won’t be dealing with clumps and bumps. Cool weather veggies like peas, lettuce, and spinach are in line to be planted. Seed potatoes should be getting in the dirt soon, too. Although some folks have different opinions on working the soil, if you aren’t digging in the dirt right now, you’re missing out on the experience! Test your soil for pH levels and nutrients. Turn the soil with care. One word of caution: don’t overwork with a Rototiller. Going gung ho with this handy piece of equipment can break down beneficial soil structure. Arm muscle and a four tine rigid pitch fork works best but with large areas, a Rototiller does the trick. Top-dress with compost, lime and fertilize per your soil tests. Rotate your crops whenever possible to limit pressure from disease and insect problems.